The Chelmsford Dog Association is pleased to announce the third presentation in our continuing series of educational speakers. Join us on June 27 at 6:30pm with Dr. Becky Schoenberg founder of and veterinarian at Autumn Care & Crossings for a presentation and a discussion on the support and care of senior pets. The Chelmsford Dog Association is pleased to announce the second presentation in our continuing series of educational speakers. Join us on May 13 at 6:30pm with Anna Suslowicz and Domino for a presentation and a discussion on service dogs and the different things they can do. We'll also discuss emotional support animals and therapy animals and how they all are different. Hot Diggity Dog! It’s a BBQ Party! Celebrate the Chelmsford Dog Association’s 10th anniversary and the Chelmsford Dog Park’s 3rd anniversary on June 15 from 10am to 2pm at the Chelmsford Dog Park. The Chelmsford Dog Association is pleased to announce the first presentation in what we hope will be a continuing series of educational speakers! .Join us with Marjie Alonso, Executive Director of IAABC for a presentation and a discussion on dog behavior and body language, with a focus on, but not restricted to, dogs at the dog park. 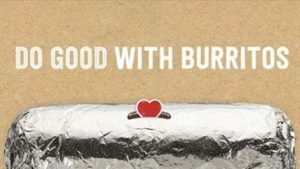 Come to the Chipotle at 65 Drum Hill Road in Chelmsford on Tuesday, November 27 between 4:00pm and 8:00pm. Bring the attached flyer, show it on your smartphone, or just tell the cashier that you are supporting the cause (Chelmsford Dog Association) to make sure that 1/3 of the proceeds will be donated to the Chelmsford Dog Association. The Online Bidding is PRE-bidding for the auctions and will end on October 12. 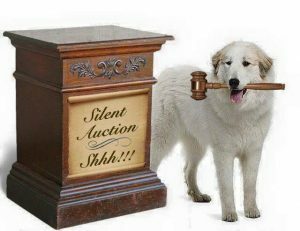 The auctions will re-open, in person starting with the high bid for each auction at Howl'ween on October 13 at 10:00am (at the Chelmsford Dog Park). Final bids will be called for at 1:00pm and the winners announced at 1:30pm. Winners not present will be contacted. On Monday, August 27, Zesty's in Vinal Square in North Chelmsford will be hosting a fundraiser for the Chelmsford Dog Association. For any patron who mentions the Dog Park or the CDA, Zesty's will donate 15% of the proceeds to the organization. 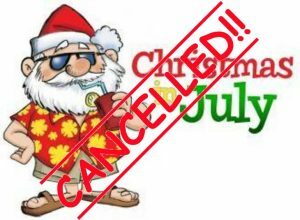 Unfortunately, Christmas in July, which was supposed to be held on Saturday, July 21 at the Chelmsford Dog Park has been cancelled. CDA Flea Market & Vendor Fair – Rescheduled! Due to weather concerns this weekend (heavy rain and lightning forecast), the Flea Market and Vendor Fair has been rescheduled to May 26. The CDA is sponsoring their 2nd flea market! NEW DATE! Saturday, May 26, from 10am - 2pm - at the Chelmsford Dog Park Come on down and buy STUFF or plan to set up your own table and sell your stuff! 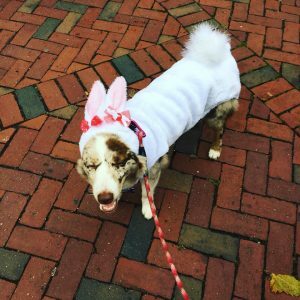 All fees and sales from the CDA tables will go to the CDA and thus, toward the Dog Park! 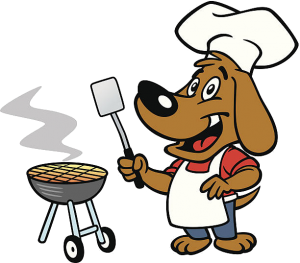 On Saturday, June 16, from 12:00pm - 7:00pm, Hunter's Cafe at 194 Stedman Street in Lowell will be hosting a fundraiser for the Chelmsford Dog Association. 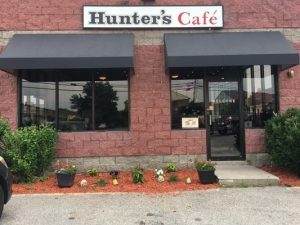 For any patron who notes that they are there to support the Chelmsford Dog Association, Hunter's Cafe will donate 15% of the proceeds to the organization. On Thursday, May 17, from 4:00pm - 9:00pm, Outback Steakhouse in Lowell will be hosting a fundraiser for the Chelmsford Dog Association. For any patron who notes that they are there to support the Chelmsford Dog Association, Outback will donate 15% of the proceeds to the organization. Cause a Scene for a Good Cause On Wednesday, April 25, from 4:30pm - 8:30pm, Blaze Pizza at the Pheasant Lane Mall will be hosting a fundraiser for the Chelmsford Dog Association. For any patron who presents the attached flyer (either printed or on a mobile device), Blaze will donate 20% of the proceeds to the organization. Pictures with the Easter Bunny!